Suffering from a flaky itchy scalp? 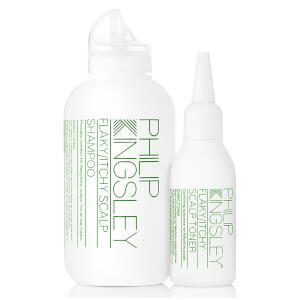 Well fear not, Philip Kingsley Shampoo For Flaky & Itchy Scalps is here to help. This soothing shampoo will leave you irritation and flake free. Philip Kingsley Shampoo For Flaky & Itchy Scalps has been specially formulated for controlling and relieving flaky and itchy scalps. Go on and enjoy a day out without the worry that flaking and itchiness will ruin a good hair day! Really liked this shampoo, left my hair feeling very soft and my scalp much better. I have suffered from a dry flakey scalp since I was young. Have tried many different shampoos, masks and even sleeping with oil on my scalp. I would wash my hair, dry it and the flaking would be back. Came across this while browsing look fantastic and ordered the trial size after 2 uses I had no flakes I'm now on my 3rd bottle and have began to recommend it to others my flakey scalp has completely gone. After two applications the itchiness has stopped and the flakiness has reduced. The best shampoo hands-down. I've been using it for years and lookfantastic offers a great price for it. Fast shipping too. This is expensive for a dandruff shampoo compared to high street brands but it really works. 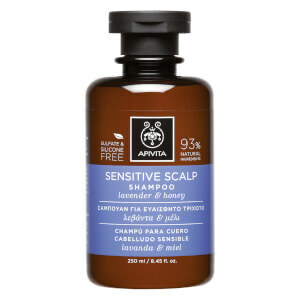 My scalp was In Very poor condition but with this shampoo and the tonic it is much improved. I can now wear black now again! This shampoo is definitely my favourite. It helps me to get rid of that awful itchy feeling that I have especially after colouring but still leaving my hair properly clean. I am also quite addicted to its smell (for me it smells of pears). Be aware that the consistency is rather liquid, but creates pretty good foam. It is worth every penny!